Hours after Qatar's emir abdicated in favour of his son, Kuwait's ruler, in a classic diplomatic gesture, jumped on a plane to Doha to embrace the new young emir in person rather than sending a congratulatory cable as other Gulf Arab leaders did. The direct diplomatic gesture was a classic move for Kuwait's 84-year-old hereditary emir, Sheikh Sabah Al-Ahmad Al-Sabah. 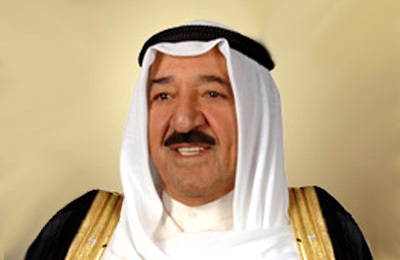 Sheikh Sabah has been dubbed the "dean of Arab diplomacy" for his efforts to strengthen Kuwait's relations in the Middle East after Iraq's 1990 invasion of his country. He spent four decades as foreign minister before becoming emir in 2006. Kuwait has promised $4 billion in aid to Egypt, which together with contributions from Saudi Arabia and the United Arab Emirates makes up a $12 billion Gulf Arab package that shows support for the Egyptian army's ousting of Islamist President Mohamed Mursi on July 3. Despite some public unease about rapprochement with former arch-foe Iraq, analysts and diplomats give high marks to Sheikh Sabah for his pragmatic efforts to rebuild ties with Baghdad. Sheikh Sabah visited Iraq in early 2012, a move seen as a breakthrough for two states which had been bitter adversaries. "In terms of foreign policy, the emir has been visionary," a Kuwait-based diplomat said. But at home, tensions between Sheikh Sabah's hand-picked government and the elected parliament have been fraught, holding up investment and economic reforms. Kuwait holds a snap parliamentary election on July 27, the sixth poll in the OPEC oil producer since Sheikh Sabah came to power. Sheikh Sabah faces divisions within his ruling family that have aggravated the political scene, diplomats and analysts say. Senior Al-Sabah family members have been jostling for position - some of them quite openly - and a rift between the clan's two most powerful branches lies beneath the surface. The split emerged in 2006 after the tradition of alternating power between the Jaber and Salem branches of the 250-year-old dynasty was interrupted. Although Kuwait has escaped the kind of mass unrest seen in some other Arab countries since 2011, protesters angered by changes to the voting system - enacted by the emir under emergency powers - staged some of the largest marches in the country's history before a poll in December. Dozens of opposition figures have been arrested for openly criticising Sheikh Sabah in speeches and on social media, in what human rights groups have called a serious crackdown on freedom of expression. The emir, who has the last say in state matters, is described as "immune and inviolable" in the constitution and is shielded from criticism by the penal code. To ease tensions, Sheikh Sabah has exploited opposition splits and made a concerted effort to reach out to leaders of powerful tribes, many of whom boycotted the last election. "He appears to have successfully outmanoeuvred the opposition and regained a degree of control over Kuwait's political scene," said Kristian Ulrichsen, a Gulf expert at the U.S.-based Baker Institute for Public Policy. Some liken the emir's strategy to a chess player who surveys the entire board and moves pieces carefully. "He looks at the whole picture. He is always trying to make a balance," another diplomat said. Illness at the top of the ruling family left Sheikh Sabah as the de facto policymaker for years before he became emir, chosen as an experienced pair of hands to run the country. The gravelly-voiced emir had a pacemaker installed in 1999 but travels extensively and appears in robust health. Analysts say parliament's backing for his leadership in 2006 gave him a strong political base. He has taken an active role in policymaking and has regularly used his executive powers to dissolve parliament - five times since becoming emir. His decision to dissolve the opposition-dominated parliament in 2012 probably reflected his view that most Kuwaitis will ultimately support the government, said Ayham Kamel, Middle East analyst at Eurasia Group.